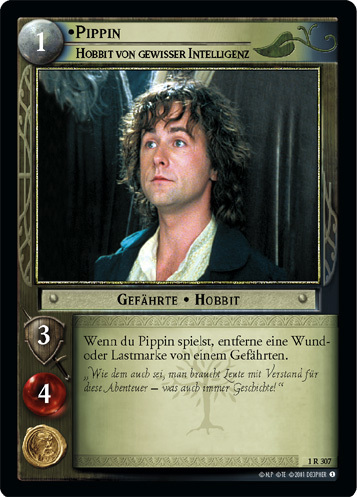 Game Text: Each of your Dwarves and another Gandalf Men is strength +1. 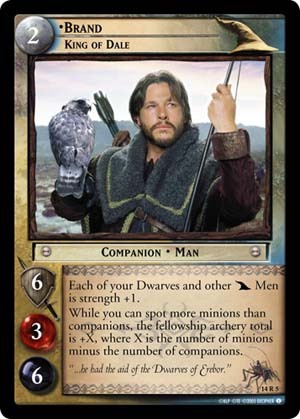 While you can spot more minions than companions, teh fellowship archery total is +X, where X is the number of minions minus the number of companions. Lore: "...he had the aid of the Dwarves of Erebor."